The Island museum in Sta. Cruz de La Palma is the most comprehensive one on the island. It implies exhibits to the art, nature history, archaelogy and local history. It is situated in the historical center of Sta. Cruz in the monestary of Francis at the beautiful Plaza San Franzisco. Here it is reported about the agriculture, the settlement of the island, the indigeneous people and their everyday life. 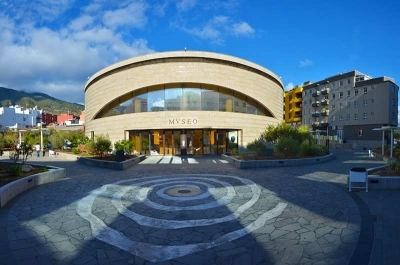 The tradition of the manufacture of silk, the weaving, the basket weaving, the instrument making and many more is in the focus of the museum which is a must do for all island visitors. 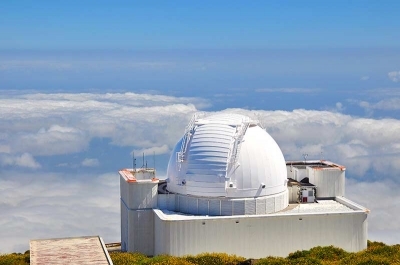 19 countries conduct the second big star observatory on the highest mountain of La Palma. Just a few times in the year the observatory has an open house day. 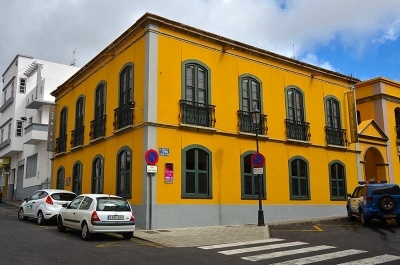 On the below mentioned website you can get further information and make an appointment for your next holiday on La Palma. Don't miss the opportunity to spend an astronomical evening in your holiday house! At the holiday houses Geranios, Abuelos, Nico and Ana you can get the telescopes without charge. We also organize introduction into the use of the telescopes and the world of stars if enough guests are taking part. In the small museum in the center of El Paso shows descriptively the age of the silk obtaining and the processing in the 18th centuary. The many planted mulberry trees which today are still in the surrounding of El Paso were food for the silkworm and gave the village a certain wealth. Here you still can experiencehow to make silk foulards and accessories on a weaving loom. And of course the guest can take some souvenirs to take home or purchase clothes out of silk. Here you can learn a lot about the history of the natives of La Palma, the Benahoritas (benahoare = my country). The very different artefacts from the prehistoric time are exposed here like animal furs, tools, old ceramics, mummies and many more. In this museum the family connections and the social fabric of the Guanchen with their rituals and gods are clearly explained. The new museum in the upper center of the city Los Llanos, is characterized by it's futuristic appearance. 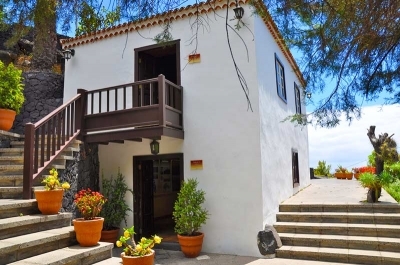 A must do for any visitor of La Palma who wants to learn something about the history and the lifestyle of the history and the lifestyle of the natives, the Guanches. 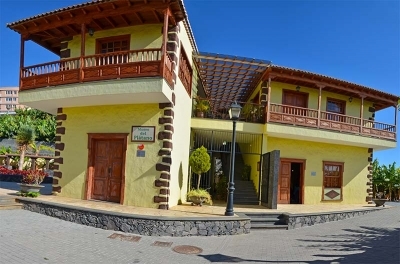 A small visitors center with large information about the life of the Guanches (Benahoritas). As well there is a multimedia show and the petroglyphs are presented. The circular trail of half an hour takes you to several places with petroglyphs which were discovered in 1941. In this place the hiking tour above the museum is very recommendable. The pedestrian underpass at the parking is the beginning of the hiking trail which is a circular trail to Don Pedro or can be used as even longer hiking tour almost to the coast. Please take a good hiking guide with you. Here as well you can hike along the 10 ancient living caves and places with the typical stone engravings the Guanches were making. 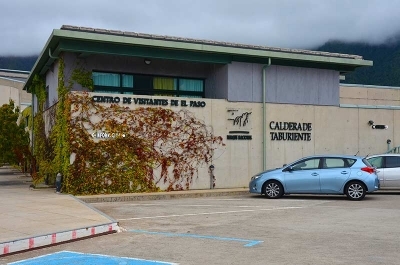 The visitors center is waiting for you with a lot of information about the Caldera de Taburiente, it's flora, fauna and the interesting geology of the crater. You will find information brochures, hiking maps and much more to get to know better the Caldera. Here also you can get the official permits to spend the night in the camping area of the Caldera. Opening times: Mo. to Fr. 10am - 5pm, Sa. 10am - 2pm. 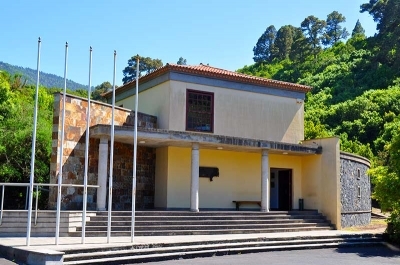 In the museum of ethnology of Garafía you can find a lot of information about the tradition of the agriculture of La Palma as well as about the history and gastronomy of the island. Especially there are to discover many pictures of ancient times about life in Garafia. 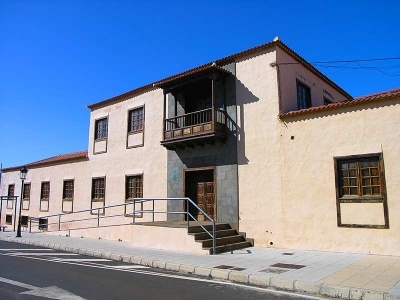 2016 was opened the museum of Gofio in the middle of the dragontree valley in Buracas. 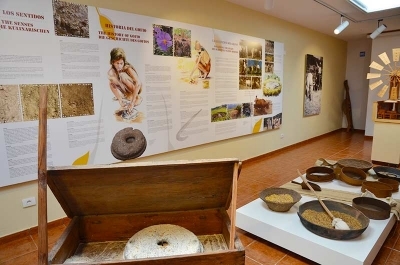 The ancient renovated gofio mill shows with some exhibits, many pictures and descriptive words how at the time was produced the essential Gofio, the flour of toasted cereals. It is possible to see the restaured mecanic of the old mill and you can discover the simplicity of this well-thought-out system. But also the cultivation of other subtropical cultural plants are mentioned shortly.